Make sure there is room in your yard for both a garden and for your dog to play. If your garden takes up all of the space, you may find that your dog will begin to romp around in your plants. Consider making a designated play area in your yard away from the garden. Curiosity can often lead pets to consume plants in your garden if left unattended. Consumption of certain plants can cause irritation or life-threatening side affects to your dog. Make sure, if your dog has access to your garden, that you plant things that are not toxic to your pup. For a list of plants that are toxic to dogs, click here. If you have a dog that digs, you may want to avoid planting bulbs. While the idea of daffodils and iris sprouting out of the ground can be inviting, the bulb is the poisonous part of the plant, so consumption could cause your dog harm. Fertilizer can be very harmful to animals. 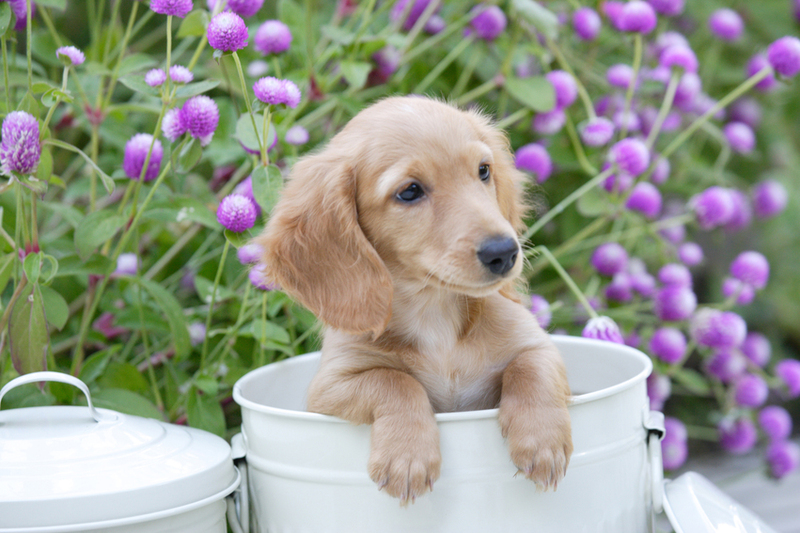 If you are going to use fertilizer to help your plants grow, follow the instructions on the label and observe the waiting period before allowing your pup to be around the fertilized plants. The same rule applies for pesticides: if you are going to be using them on your garden, follow the label to keep your pup safe. Fences help keep your pups safer. Installing a small fence around your garden or alternatively, a raised bed garden, can help keep your dogs out of danger. This will also help alleviate stress that your pups may consume something toxic. Learn more about raised bed gardens here. Store gardening items away from pets. 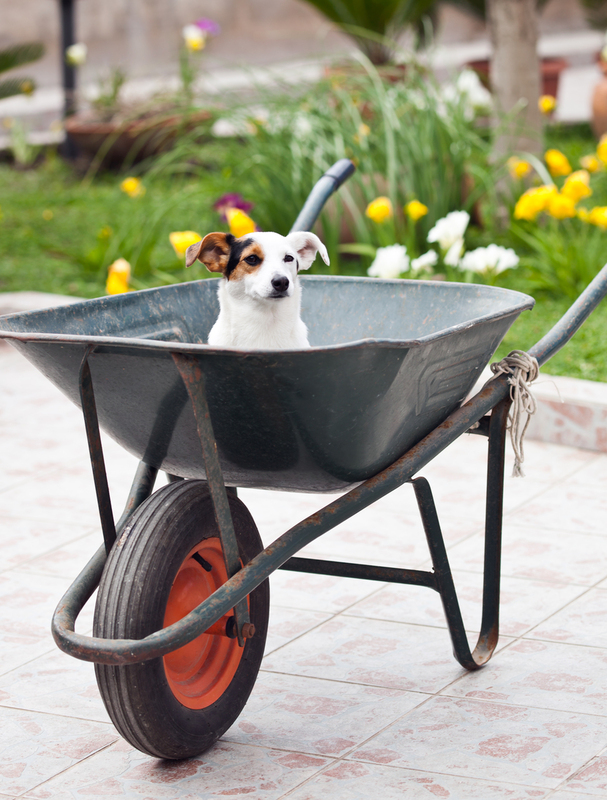 Sharp gardening tools, fertilizers and pesticides can all be harmful to pets. Store these items in a shed or your garage to keep them away from your pooch. For more information about dog-safe gardens, click here.